The bedroom can be named as the most favorite part of one’s home since it is more private and one also usually put personal touches into it. It is the part of one’s home which you can consider “yours”. 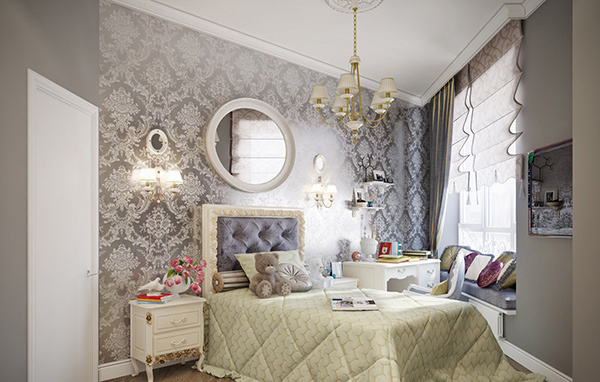 Because of that, the bedroom is decorated based on the homeowner’s taste and personality. But if you are still unsure of what you can do with your bedroom, we will help you decide. This is just a modern bedroom design but with the retro coverings it looks livelier. If you’ll get to see the other parts of the bedroom, you will be able to see a wall with similar print with the bed cover. A bedroom with wooden furniture looks soft to the eyes and also gives a calming feeling. 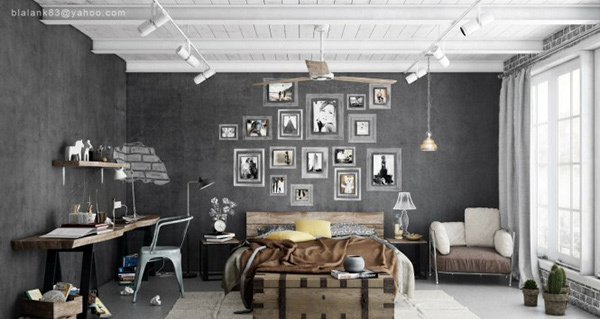 Why not add wall paintings with wooden frames too to complete the look? If you want a classic touch for your bedroom, you can get it even without getting those expensive classic furniture with decorative moldings. You can just let your room look simple. The mere addition of a classic chandelier and other lighting fixtures can do the work. 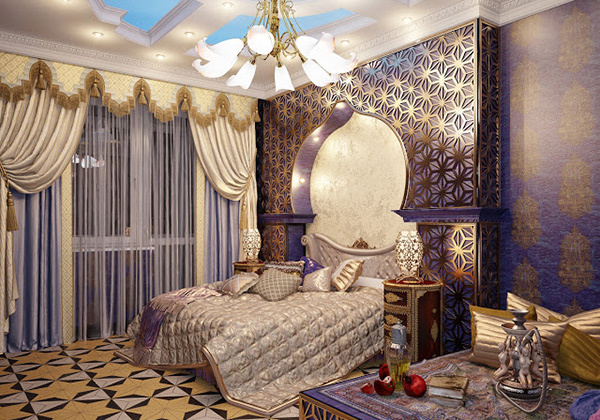 One look into this bedroom will make you think that someone who comes from the royal family occupies it. It even looks more Arabian or Indian in style. But this design is quite expensive. 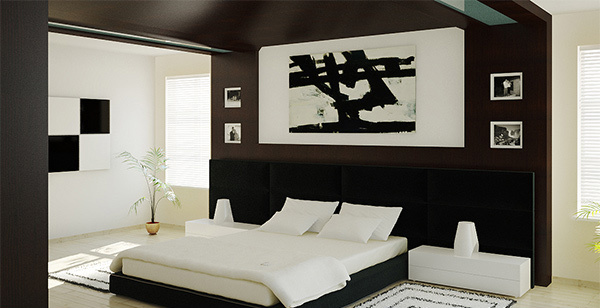 If you want to have a bedroom with lesser colors, then a black and white bedroom could be best for you. You can get a minimal look like this one or add more sophisticated touches. 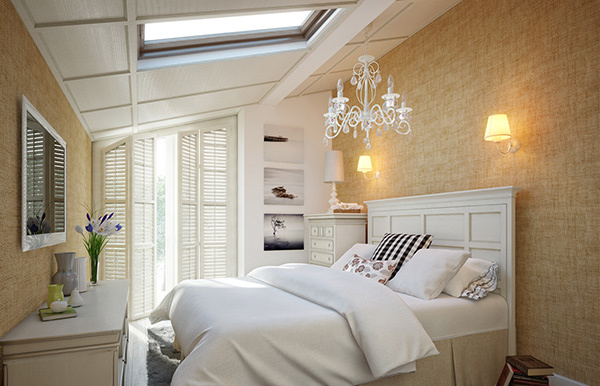 A simple bedroom like this can look lovelier if you add some stroking touches. The designer used geometric lines and shapes in red, white and black for the decorations and accessories which was a smart thing to do. 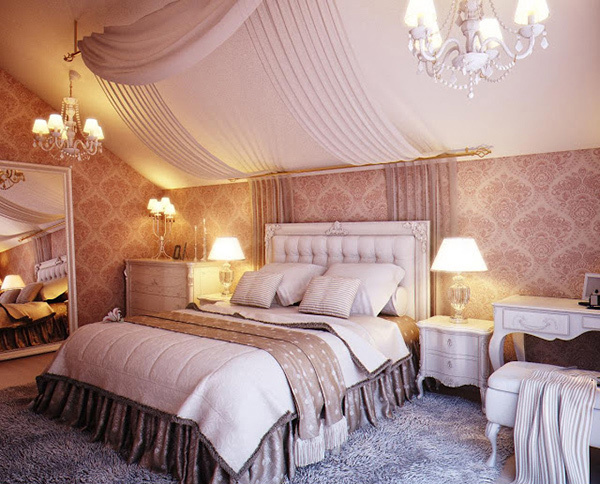 Your princess will surely jump for joy if you will make her feel like a real princess with a bedroom like this. Vintage and classy bedroom designs using patterns and vintage inspired fixtures. Adding bright lights to your bedroom can create a relaxing mood and can also add appeal to the your bedroom’s interior. Gray walls are used in this bedroom with tones of driftwood. The gray walls are being lifted by the white ceiling and the cream flooring. You can notice industrial touches in the bedroom which looks totally unique. Anyone would love to sleep in a bedroom as luxurious as this one! 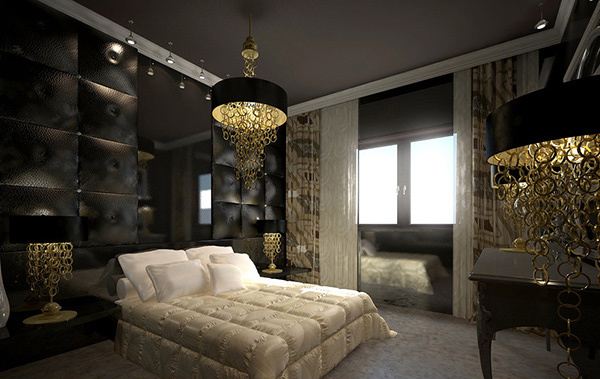 The use of metallic and dark elements combined creates a stunning bedroom design. Get a touch of Asian culture by adding some bamboo and using Asian colors like browns and greens. You can also try achieving a Zen bedroom using Asian elements. A minimal bedroom will look calm and relaxing. It has simple and minimal number of decorations. You can try using earth colors for a bedroom like this. Try adding a canopy into your bedroom and you will get this kind of look. A canopy is a great addition if you want to achieve a romantic touch. A colorful bedroom sure looks fun and lively. It creates an environment that encourages movement and activities. 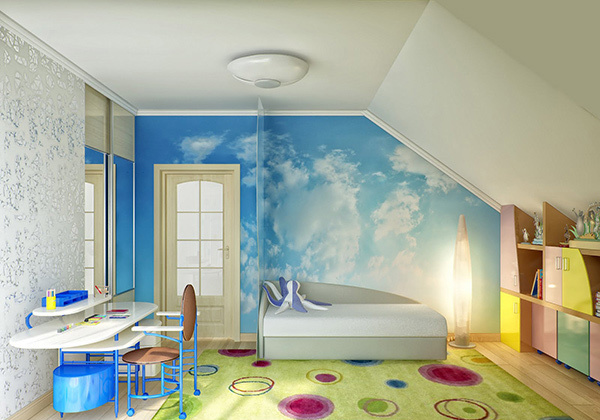 That is why most bedrooms for kids are full of colors. Another good way of decorating a bedroom is using pops of the same color like the design above. It can help make a small bedroom look bigger since the eyes will be drawn around the room. There are different ways to design and decorate a bedroom. We are sure that the decorating bedroom ideas we have given you could inspire you to decorate your own bedroom. Well, you might even end up confused since all the designs above are really beautiful! You can also get some tips on how to design your own bedroom to get it some personal touches.